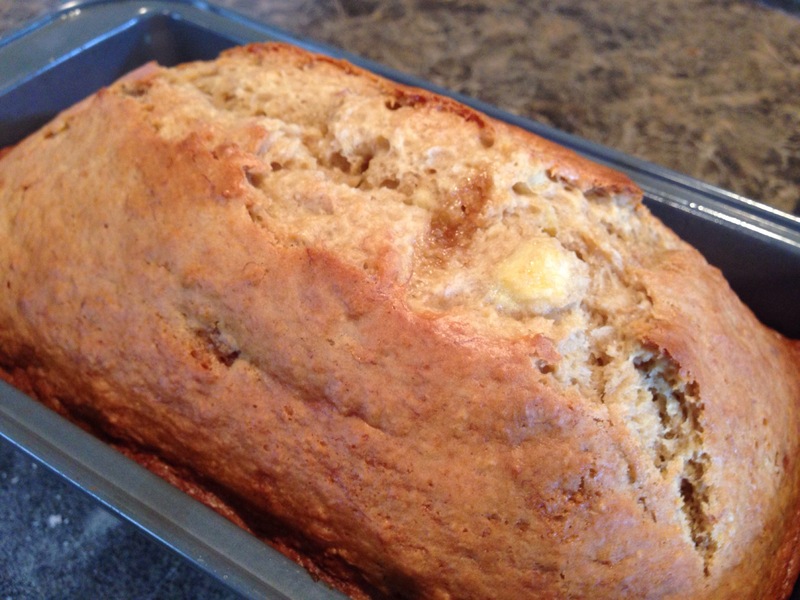 My mom didn’t make banana bread very often because she doesn’t really like bananas, but my dad, sister and I did, so when she made it, it was a great day. I was pretty surprised at how easy this is to make. It’s perfect for a cold late winter day. 1 teaspoon vanilla you can add a bit more if you want! Preheat the oven to 350 degrees. Grease a loaf pan with butter or Crisco. No need to flour the greased pan. Mix the wet ingredients into a bowl, adding the milk last. Mix the dry ingredients. If your brown sugar is a little lumpy, that's ok! It will add pockets of caramel notes. Mix the dry ingredients and wet ingredients together. Bake in a 350-degree oven for about 55 to 60 minutes until the top is brown and a toothpick comes out clean and the sides start to pull away from the greased pan. My opinion: This makes your whole house smell amazing. It’s delicious and one of my most favorite breakfast foods. If you’re feeling adventurous, you can add chocolate chips, dried fruit, nuts, peanut butter (if you add peanut butter reduce the oil by one tablespoon). The options are endless!